The live cam of Belgrade allows you an insiders look at Belgrade Serbia! Our Serbia webcam lets you view Serbia from wherever you are. Belgrade is the largest city in Serbia as well as the capital city. This is an ancient city that is rich in history, culture and warm welcoming people. It dates to well before 274 BC and has been invaded many times during its early history, leaving behind an eclectic culture. Belgrade has always been an important city in Europe because of its location. It is home to over 32 squares, 5500 streets and 16 plazas. It is a bustling city. There is evidence that the area around Belgrade was inhabited as early as Paleolithic and Mesolithic eras. 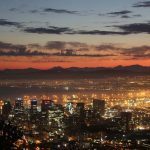 The city has suffered its fair share of damage from recent wars, but it has quickly rebounded and has become one of Europe’s most popular cities to visit. The city hosts over 100 festivals each year, so there is always something happening. The city is located between the Danube and Sava rivers providing a beautiful backdrop. 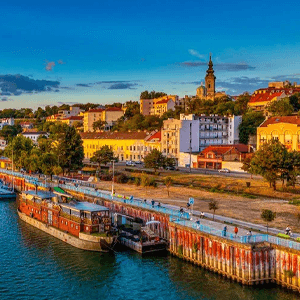 There are riverboats that have been converted to restaurants, exciting nightlife, ancient architecture and more to explore in Belgrade. 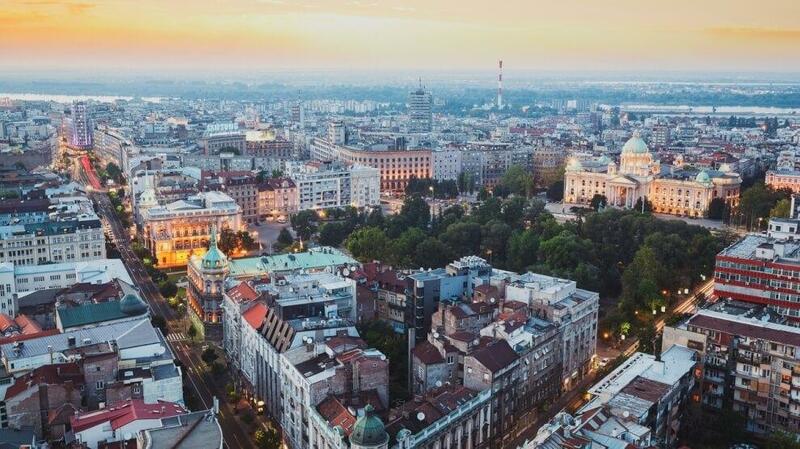 The live cam of Belgrade lets you be a part of it all from home! Main Attractions: Avala Tower, The River Walks, House of Flowers, Gardos Tower, Nikola Tesla Museum, Cathedral of St. Mark, Temple of Saint Sava, Ada Ciganlija, Skadarlija Street, Belgrade Fortress and more.